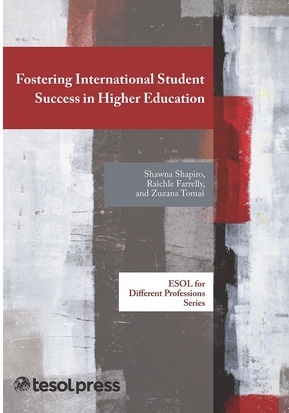 Check out our new book entitled Fostering International Student Success in Higher Education. You can find it here on Amazon.com or through our publisher, TESOL Press. On the TESOL site, you’ll also find reviews of the book, the Table of Contents, and a sample chapter. Shapiro, S., Farrelly, R., & Tomaš, Z. (2014). Fostering International Student Success in Higher Education. Book in series: ESOL for Different Professions by TESOL Press.